I had been toying with the idea of posting this particular blog post as I've read a ton of these posts in the past and absolutely none of them were helpful to me, not one of them gave me the info I needed on exactly how to increase my blog traffic, even though the post title said different, but after much debate I thought why not share my blogging 'secrets' and let the world know just how I tripled both of my blogs traffic in just one month. 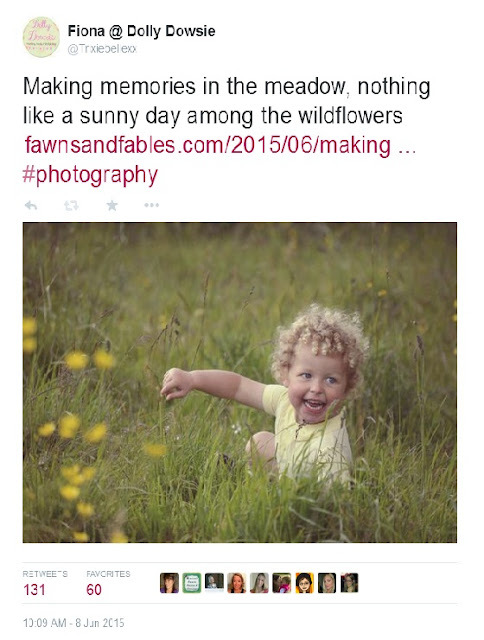 When I began my new blog, Fawns & Fables, I, just like many other bloggers out there, wanted it to be a success, I actually wanted people to engage and see my photography and I'm absolutely delighted to say that's just what's happening. My new blog is now 48 days old now and has gained over 10,300 page views - not too shabby I don't think! This blog, Dolly Dowsie, has gone from 1,000 page views a day to well over the 2,000 mark and even when I wake up in the morning I have over 500-600 page views, all through no promotion of posts at all. So just how do I get this traffic? This is probably the easiest and fastest thing anyone could do to promote their blog but I know there are a lot of people out there who still don't know what StumbleUpon is. Basically it's a traffic referral site which lets people find sites within their interests. I will promote the importance of making your content StumbleUpon worthy before submitting though, I've found that the 'parenting' category gives me the least traffic whereas 'photography' will give me over 55 unique page views instantly. Fawns & Fables highest traffic source is StumbleUpon and it's always a great feeling to know that people with a genuine interest in a subject are reading your blog for that reason alone. Adding my blog posts to StumbleUpon literally takes two minutes and the traffic benefits are more than worth that time. This is the most time consuming type of blog promotion I do but definitely the most rewarding in terms of traffic and also opportunities too. I take part in Twitter retweet threads in three Facebook groups for blog/website promotion - Promote Your Website and Twitter Marketing Group - yes I actually shared the groups, no other 'how to' post I read did... We all retweet each others tweets and the benefits have been huge for my blog and I. All those retweets have allowed my blog posts to be seen and read by people who otherwise would have remained oblivious to my blogs. I see participating in these threads as being my own marketing strategy, I mean look at the tweet above, 131 retweets and 60 favourites, no way would I have gotten that reach if I had simply just tweeted and left Twitter to it. That tweet alone gave that particular blog post on my brand new blog 650 page views in one day. This is something I have only just started doing and I've already seen huge spikes in traffic. You simply add your link to Reddit (you do have to sign up to the site first), give it a catchy title and a subreddit and watch your traffic grow. I had 121 hits from Reddit yesterday alone by submitting one of my cupcake posts and what's great about Reddit is that people who actually want to read your link are the ones clicking on it and they can even give it a +1 too so that it ranks higher on the site for more people to see. I wish I had known about Reddit sooner, it's great to have all these free tools for post promotion. This is something I've only recently begun doing too but I've noticed that it has increased both my Twitter interation and hits since doing so. I think people engage far more with an image than just words and a link so I use a relevant image from the post I'm promoting to my tweets and it has really helped in engaging people and making them actually want to click on the link to see more. 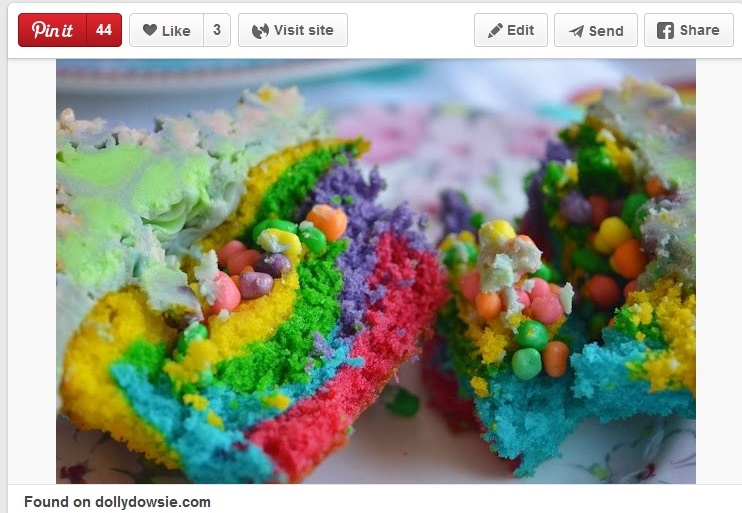 I've begun using Pinterest more and more for post promotion, especially for my DIY and baking posts. I make sure that my images for these posts are Pinterest worthy. Clear, interesting pictures will inspire people to want to make/do these things too and pin your image to their own boards, thus making it possible for more people to see them and your link too. I've gotten some great traffic from Pinterest for these types of posts and I love seeing the 'pin it' numbers going up. I'm lucky in that most of my views are organic hits from Google. 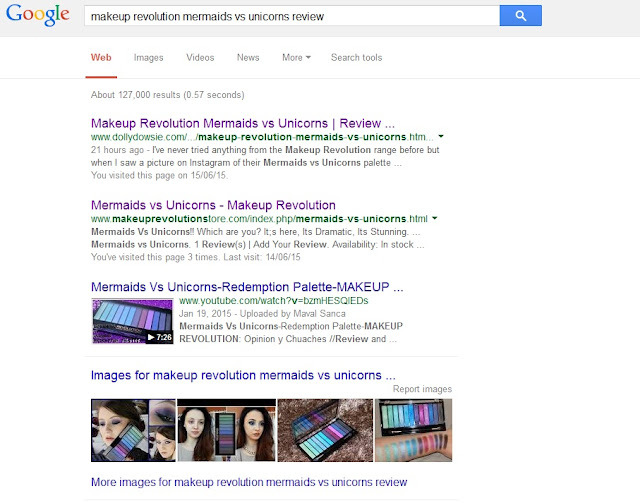 The SEO on my blog Dolly Dowsie seems to be great and I'm listed as number one on the 1st page of Google for a lot of my review posts - particularly my makeup reviews. I think having a clear blog post title stating what will be found within my post has really helped this. For example, I wrote a review yesterday for the Makeup Revolution Mermaids vs Unicorns palette and I am now the number one spot on Google when you search for reviews on this. 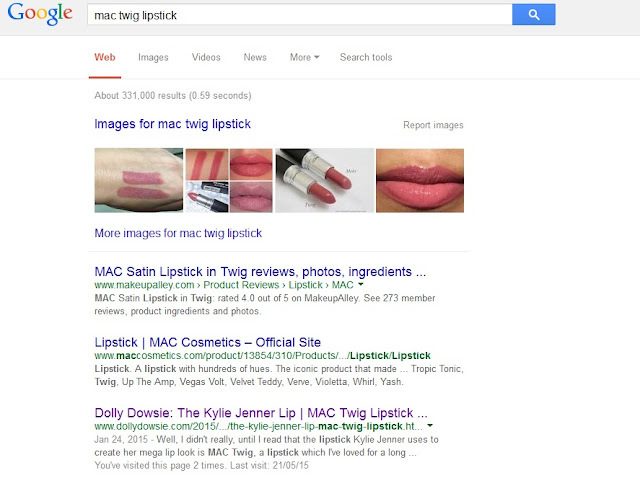 One of my most popular posts as of late is my Kylie Jenner Lip using MAC Twig lipstick and if you search for those terms I appear as number three on the first page of Google. It's great to know that my blog is ranking highly for some of these features and reviews and is gaining traffic even though I'm not promoting these posts in any way anymore. So those are my blogging 'secrets', not really secrets at all but still, very important things for me to do for my blogs. I see my blogs as my 'job' and not only do I need my blogs to work for me but I need to work for them too and keep up with my promotion, marketing, etc. All of these things are so simple and the only time consuming thing is the Twitter retweet thread, everything else literally takes about two minutes but those two minutes can be make or break for my posts traffic. I hope this post has been helpful and helps you to triple your blog traffic in a short space of time too. Fab tips! Are you using your Google analytics or blogger stats? Oh.my.god these are great tips!! Thank you!! The first time this title of post has actually been useful! Aww thank you so much for saying that because I REALLY did want it to be useful to other bloggers and not just a 'hey look at me' post! This is awesome! Thanks for sharing, now I know more about blogging..
great tips! i have a stumbleupon account but never use it. i must start! Love this. What's your approximate ratio for StumbleUpon? I've heard that for every post you share of your own, it's recommended to share about 13 or so...is that accurate, do you think? Some great tips here, particularly the twitter RT groups. Have never used reddit or stumbleupon, will have to look into it! Great post, I am only trying to set up my blog at the moment and I am totally lost to be honest. I cant even get the blog app to add to my Facebook page I feel like Im banging my head against a brick wall. Nice to read a straight forward 'How To' post for a change that's not skirting round the subject. Off to check out reddit now! What a great post, thank you! Will definitely be giving stumble upon a go! This is fantastic, thank you! I've been forgetting to add photo's to every post and totally forgot about Stumble Upon! Great post thank you. I have the stumbled on app on my phone- need to start using it more and the retweet groups! Rely helpful advice! Thank you for this! Very informative. Hurray for a "how to" post on blog traffic that actually makes sense! Thanks so much, these are such great tips and I'll be putting the ones I wasn't doing already into practice straight away. Thanks for these tips they were super useful! I'm still struggling to have success on Pinterest any tips besides good pictures? I use StumbleUpon and Reddit as well. I've also recently discovered Digg which is supposed to be a similar site so we will see how that goes. Great reading and tips thanks. I tried to add my links to Stumble Upon like you suggested and it came back saying they don't accept links from that site (I am using Blogger), any advise ? Great post! This is the first one that I have read on increasing traffic where the blogger actually listed what they did to do so opposed to just saying they posted consistently, and wrote compelling content. I mean duh, we all know to do that, lol. I appreciate this-I learned something new about the twitter marketing + Reddit and will test those out. Thank you! Great post Fiona, I'm off to check out Reddit and Stumbleupon! Hi Fiona, first of all, thank you for providing tips to a fellow blogger! I am curious, could you quantify how much time you spend on each of these marketing/promotion strategies? Thanks! Hi Sam, thanks for your comment. I can spend anywhere between 5 to 10 hours a day on promotion, depending on how many threads I want to do and how many posts I want to promote. I need to use Reddit more often. It's a strategy that I haven't used yet but really need to. I also don't Stumble that often either. 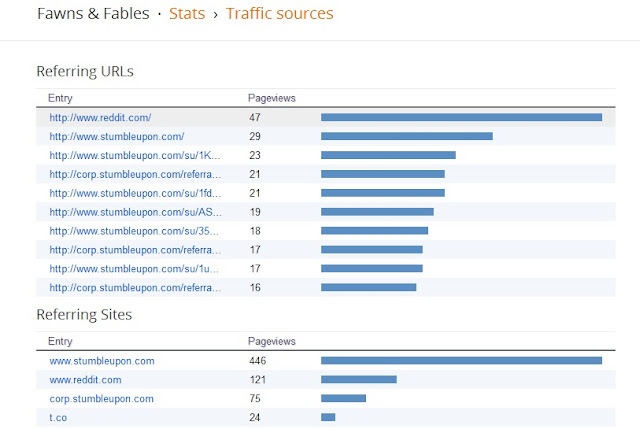 StumbleUpon is always in my top 5 when it comes to sending traffic to my blog. And it's so easy, too. I also always add photos to my Twitter posts. The one thing I'm not doing is Reddit. I really need to do this. This is a great list and I like that you actually shared it in detail. Thanks. Great tips! I have to admit I have heard a lot about stumble upon, but I don't know much about it. I need to check it out. These are fabulous tips for increasing blog traffic. Thanks for sharing all your secrets. 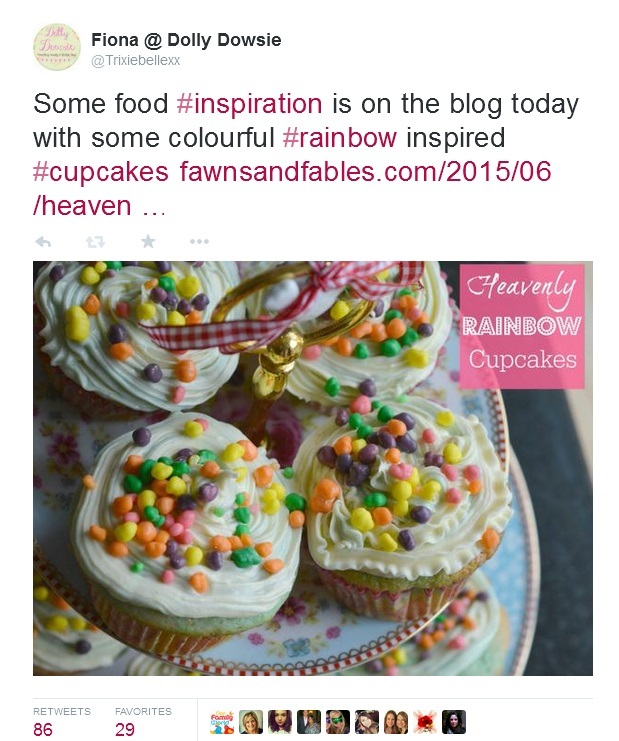 I also love stumbleupon and think it's such a fun, easy way to promote my posts! I never even thought of adding my individual posts to StumbleUpon! That is such a good idea! I am going to start doing that! 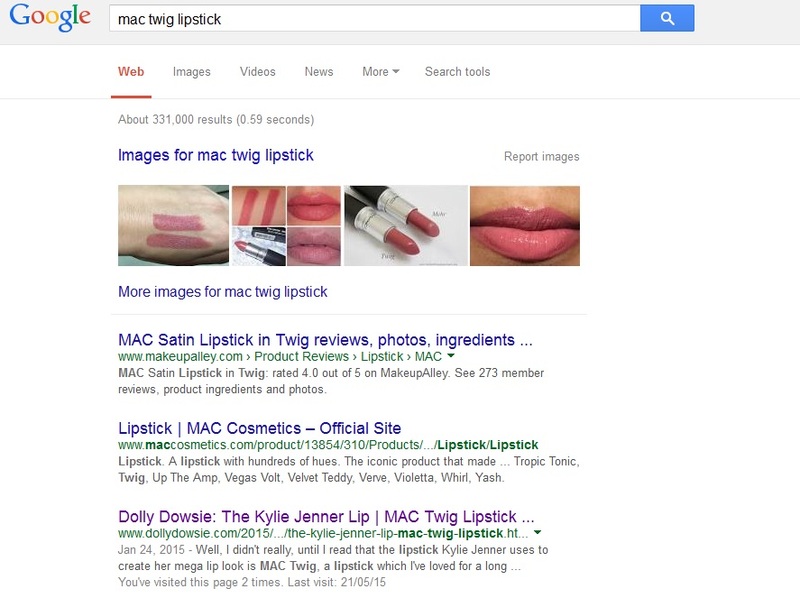 Wow, that's awesome seeing your posts so high in a google search - you go girl. I totally agree about stumbleupon, too - SO beneficial traffic wise. These are amazing stats. I will have to try applying this to my blog. Wow Reddit works for you? I would of never thought of that option but I like the Twitter idea. These are indeed all great tips for any blogger or new blogger. Adding new social media sites to your blog is an awesome idea and it can't hurt to see if it brings in traffic either. I love using Stumble upon to increase my page views. I need to try using reddit (never fully understood it). I also ado photos to my tweets. One thing that I have noticed helping me get more views is adding text to my images. It makes it very easy to know what my article is about just by viewing the photo. These are great tips that actually do work. It is shocking how many views different platforms can bring to your blog. Congratulations on boosting your blog traffic! As a fellow blogger you know this is a constant job to do. Thank you for sharing your success! I LOVE this post!!! I haven't used reddit but I've heard of it and it seems like I really need to try it! Stumble Upon... I have a love hate relationship with! I use it but don't see as much traffic from it as I'd like to! One of the things that I really need to learn more about and get involved with is Reddit. For me, Stumbleupon is really good at bringing traffic, and Pinterest too. These are great tips. I haven't ever used Reddit but I have read a few others mention it. Thanks! So many good and amazing tips! I guess I just get frustrated when I do all those things and literally get a 1% hike in traffic #soulcry Changing my theme and name next month and hoping to gain some good traffic from that. Continued success to you! I have clicked from post to post to post. Great info. I do get a lot of traffic from Pinterest but have not used Reddit yet. 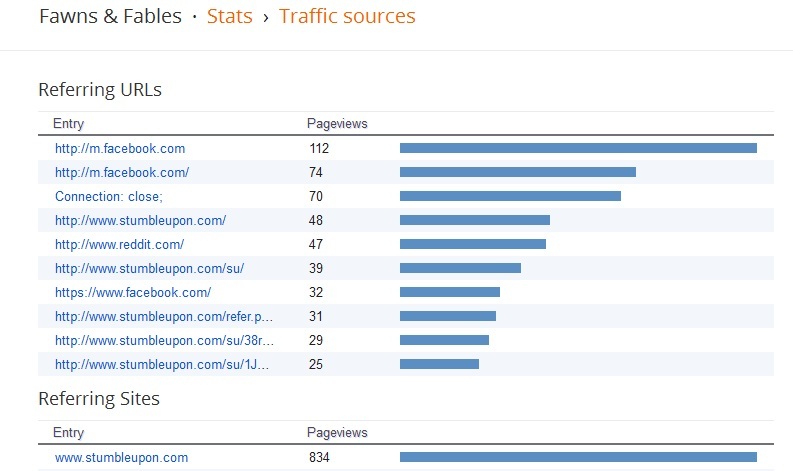 Is StumbleUpon stir generating traffic for you? I've see those numbers go down. All in all very inspiring. I've found this blog post soooo helpful. It's really great that you have linked to the sites you're talking about too, I know what you mean when you say it's so annoying when people don't in their 'help' posts! Oh this was such a helpful post! I'm going to go and check out Stumbleupon now because that site sounds awesome for helping increase traffic. Really great post. Thanks so much for the info. These are so helpful. Thank you! This post was so helpful! Thank you for including some tactics that I don’t see other bloggers posting about as I am looking for some new ways to grow my traffic! Wonder if this still works. How do you get a link on Reddit? I can't get any of mine on.